Along with corn on the cob, roasted corn is another summer highlight. We take sweet corn straight out of the garden, pull back the husk, and season it just right. 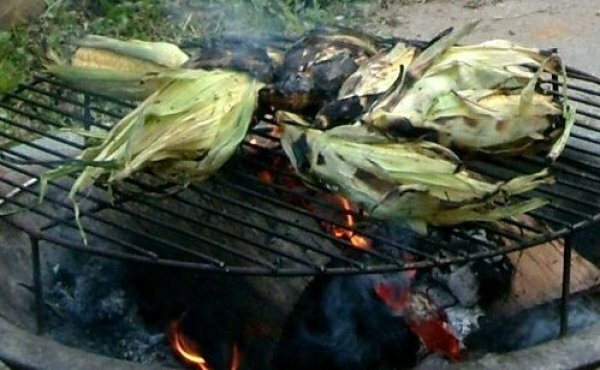 Then we tie the husk back around the corn, soak it a while so it doesn’t burn, and put it over a hot wood fire. When the husk starts to blacken and the air is filled with the aroma of popcorn, you know it’s ready. Pull back the husk, slather the corn with butter, and feast with a big smile. ← Summer is the height of farm to table at Randall Glen!